Buying a motorbike is one of the most exciting experiences there is, but with so much money changing hands it can also be stressful. Buying a lemon can be costly, inconvenient or even dangerous depending what is wrong. When you’ve spent weeks, months or years reading reviews and watching bike videos to decide which model to go for, and then scoured the internet for bikes for sale while you saved those last few pounds, it’s very easy to get over-excited when you finally see the object of your desire in the flesh. When this happens, you might gloss over niggles and issues, forget to ask a question or even ignore an obvious problem to get your hands on your new bike as quickly as possible. However much preperation you do, there is nothing so telling as being with the machine and the seller. The following should all be considered on the day you go to see your prospective new ride. The V5 is God - it records the bike's registration number, its date of registration, its colour, the engine number, the chassis number and the name and address of the registered keeper. If there is any discrepancy, be very careful. If either the engine or chassis number is not as recorded on the V5, walk away. Be suspicious if the bike is already warmed up when you arrive to view. It might have taken 15 minutes and a set of jump leads to get it going. Arriving half an hour early is a good way of preventing this. 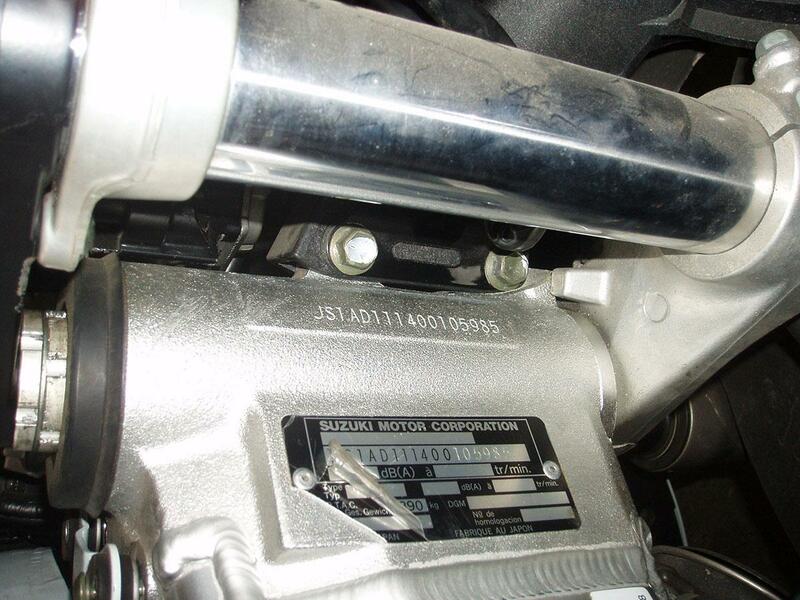 Always check the frame and engine numbers for any sign of tampering. Look at the rivets of the VIN plate to see if it might have been removed and replaced. Check the lock stops for signs of impact. These are very hard to repair or replace, and are a sure-fire give-away of a shunt, even if all the bodywork is nice and shiny and the forks straight. Look underneath the bike. Seriously. This is where exhausts rot, or oil leaks start. Are there signs of a weep by the oil drain plug? That'll be because some idiot has stripped the thread and replaced the plug with a layer of added PTFE tape. Electrics - take a multimeter and check the charging rate. 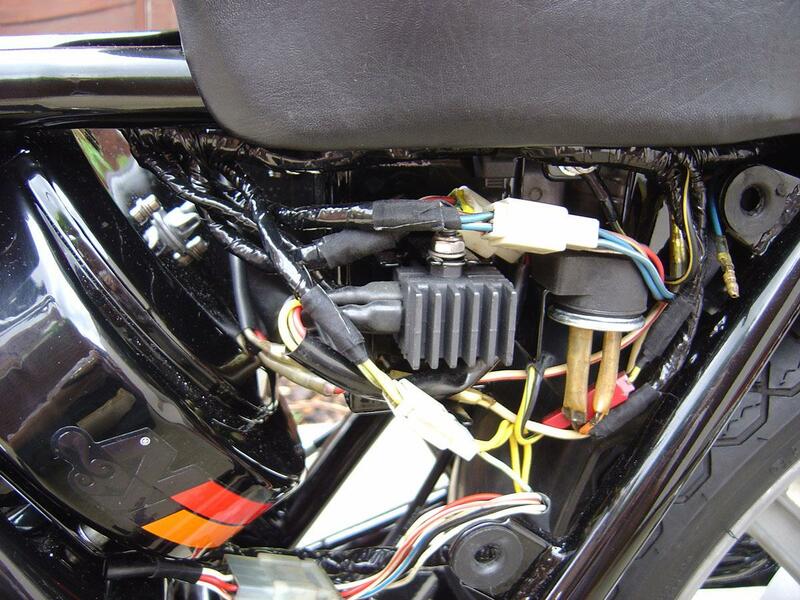 A brand-new battery will start the bike OK, but if it's still registering 12.7 or so volts across the terminals when you rev it, that means either the alternator or the regulator/rectifier is fried. Or both. Run your fingertips over any aftermarket stickers on the bodywork. If you feel a ridge under the sticker, that'll be fairing damage. Also examine the gaps between the various panels - a fairing bracket distorted in a crash will throw these out, and replacement brackets are rarely cheap. Aftermarket fork gaiters almost always conceal pitted forks. Likewise, aftermarket paint is generally due to crash damage. Never assume something is an 'easy fix'. If it is, why hasn't it been done? Or is the seller not clued-up enough to realise there's an issue. And remember that for every fault you spot, there will be one that you don't. Before you hand over any cash for those lovely keys, there are some essential questions you should ask, in front of a witness ideally. This is because the Law doesn’t require a seller to reveal sensitive information about whatever it is they are selling UNLESS the buyer ASKS the question. Only then are they required to give a truthful answer, if they lie, that is “misrepresentation” an offence which will allow you to take them to court successfully. You should ask this even if you are buying a brand-new bike which looks blemish-free, accidents will happen, even rolling across the workshop, and a used bike can hide all sorts of blemishes under a fresh coat of paint and new body panels. Is there any finance owing on the bike? If it is subject to a credit agreement then the finance house could make a claim to title of the bike. It’s best to get an MCN Bike Check done which will show this up. Knock the Bike Check cost off the sale price. A paper trail of receipts is always useful. If there aren’t any, ask yourself why? If you’re looking at a bike to buy and you’ve given it a good once over, ask for a ride to make sure nothing feels out of place. This may not be so easy if you’re buying privately and you may have to leave the asking price in cash, or your family, or both while you’re on the ride. At the very least, you should get a pillion ride. Check for smooth acceleration, good performance (relative to the bike you are riding), and no surprises in the handling. Make sure the bike doesn’t pull to one side or the other (hold the bars very lightly in your hands on a smooth stretch of road and see), and that it steers smoothly. Listen for any unusual noises or vibrations. Everything should work once on the move – check gears, clutch and brake operation as well as things like the speedo, rev-counter and digital display. Try every single switch and function to make sure it works, including all rider modes and settings if they apply. If you’re feeling overwhelmed by the possible pitfalls of buying a used motorbike, it can be tempting to go for a cheap, new bike from one of the new or lesser known manufacturers. When buying a bike from a less established manufacturer, you need to consider a few extra elements that you wouldn’t with Honda or Yamaha. The most obvious is dealer back-up and spares availability. If the importer goes out of business for any reason, then chances are the dealers will stop stocking spares for the bike. If the bike is a copy of an existing Japanese model, then lots of the parts should be interchangeable, but if it's an original design you could be stuck. So, make sure you ask searching questions about the set-up and satisfy yourself that the dealer is going to still be there to help you through the lifetime of your ownership of that bike. MCN Used Bike Expert, Neil Murray offered the following advice about buying from older sellers who have lost interest in riding or are no longer able to do it. 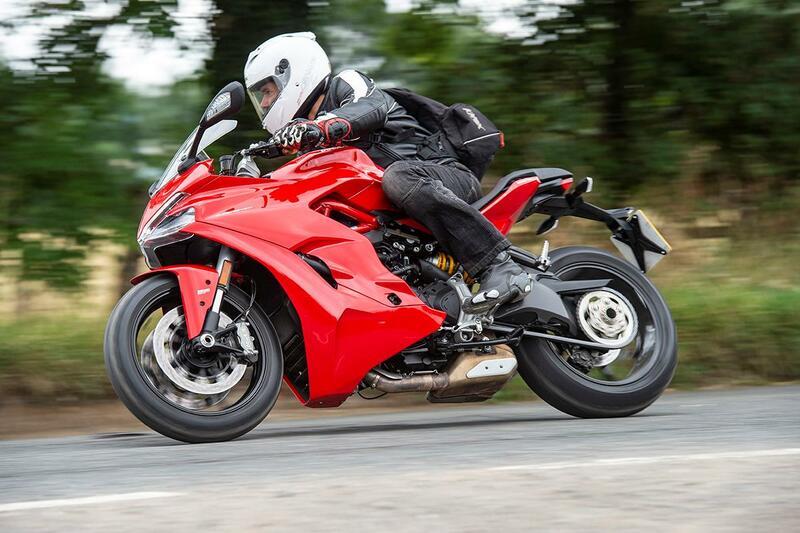 "Demographics being what they are, there are quite a lot of machines coming up for sale, and the adverts declare that the owner is now too old or infirm to continue motorcycling. Or the bike was stashed away as a project which never got finished, for all the usual reasons (I’ve got two of that sort of bike). "The trouble is that so many people seem to have rose-tinted specs on. They fondly remember the bike in its heyday, before it was stashed away, and somehow just forget or overlook what was wrong with it. "Not so long ago, I bought an old classic, sight unseen, and had it delivered to me. And the engine had some fins broken off, which were not visible in the photos and (of course) not mentioned on the eBay auction page. When I took this up with the seller he replied that he hadn’t had the bike long and hadn’t noticed. And he then got snotty when I left neutral feedback. "Today, I’ve just returned from an abortive buying expedition because the tank had been resprayed in the wrong shade, the panels had been painted with a stick, the kickstart lever was missing, the switchgear had been butchered, the fusebox was disintegrating, the front mudguard had been bodged on and was rubbing against the fork dust cover on one side, the seat was broken and the fork stanchions pitted. "These weren’t attempts to deceive – the silly sod was just seeing the bike as it had been in its heyday. Get a clear description over the phone first." 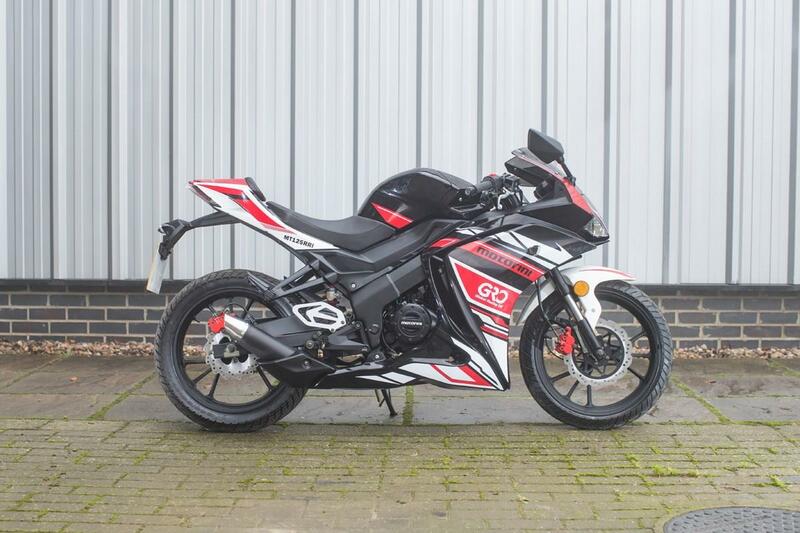 So, you’ve done all the necessary checks, handed over your cash, found the best insurance deal through MCN Compare and now you own a brand new (to you) second hand bike. Congratulations! But before you take it out for a thrash, spend a few minutes giving it a quick safety check in the comfort of your own garage. 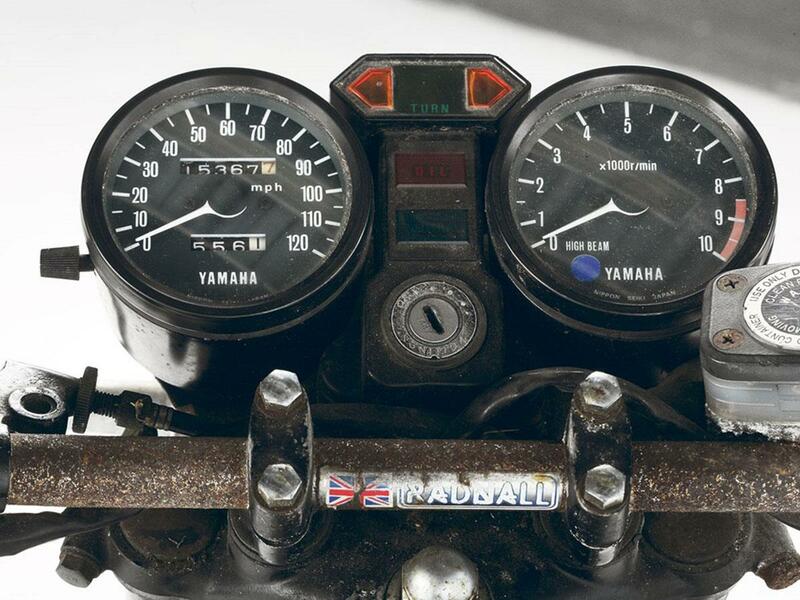 The bike may look clean and shiny, but do you really know anything about its service history? The most important parts to check are the brakes. Get on your hands and knees and with the help of a torch ensure the pads have some life in them. You will be amazed at the number of people who only discover their pads are shot when they get their bike serviced. Now look at the brake reservoir, is the fluid at the correct level and are there any signs of leakage? When you’re happy with your brakes, look at the tyres. When you bought the bike you probably gave them a cursory glance for wear in an effort to shave a few quid off the price, now have a good look for any foreign objects in them such as a nail or stone lodged in the tread. Now check their pressures and also adjust and lube the drive chain if necessary and look for any tight spots. If this is all good then give the bike a fluid once-over by checking the oil level is correct and also looking at the coolant level. Finally, and again this is so often over-looked, ensure all the bike’s lights work, especially the brake light on both the hand and foot lever’s activation. And check the horn, although not at 10pm when the neighbour’s kids are asleep! Happy with everything? Then it’s time to enjoy your new bike! Remember to take it steady to start with, as every bike is different and if you have upgraded in capacity, don’t get caught out by the extra power. 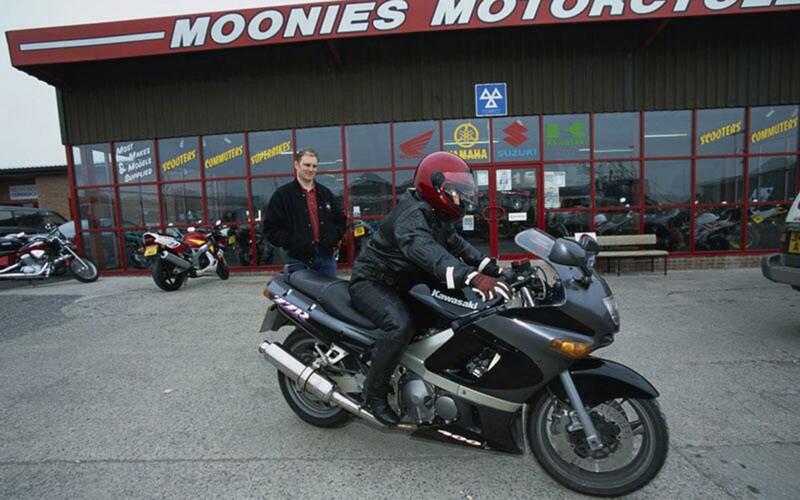 Find your next two-wheeled companion now at MCN Bikes for Sale.